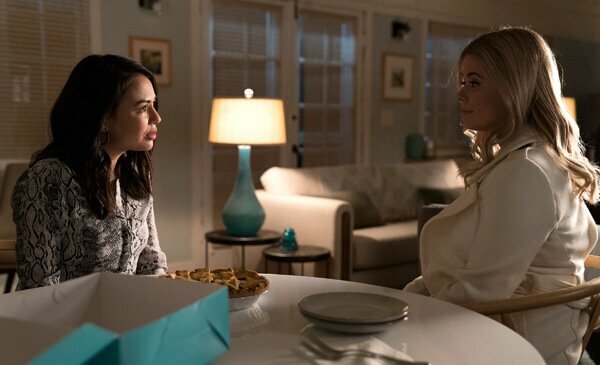 Pretty Little Liars: The Perfectionists offers viewers mystery, old friends and new. 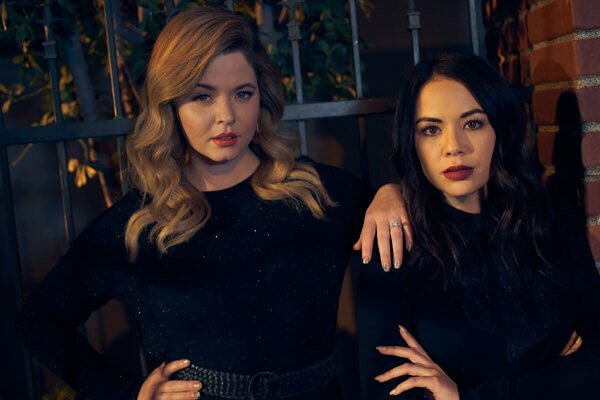 “Pretty Little Liars: The Perfectionists” is a reunion for characters Mona Vanderwaal played by Janel Parrish and Alison DiLaurentis, embodied by Sasha Pieterse who were on a real relationship roller coaster over the many seasons of “Pretty Little Liars”. 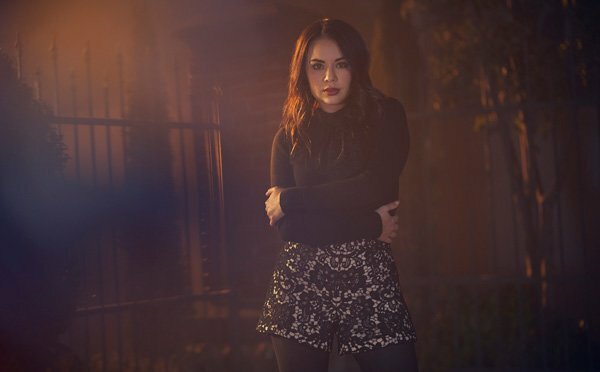 Mona was revealed to be the original baddie “A” and faked her death later on. When the character was younger, she was part of then high school mean girl Alison DiLaurentis’ clique but when the friendship ended, Alison bullied Mona. Later, they were friends again and did some bullying together. Now the ladies are older and the relationship has again morphed into friendship (or so it seems) as the more grown-up girls join the faculty of a posh university in their new town Beacon Heights. The new Freeform series is the story of a group of kids that go to a high pressure college. Sometimes the pressure gets to a point where someone snaps and kills somebody! Alison and Mona are both junior members of the faculty when there is a murder. You just know these two are going to jump in and make things interesting! 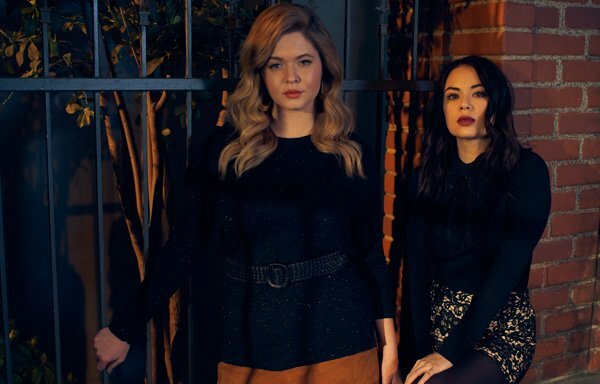 Check out the comments of the two PLL alums as they tell us why they returned to their characters and just why you will want to get into the new show. Q: Sasha, how does Alison fit into this new show? 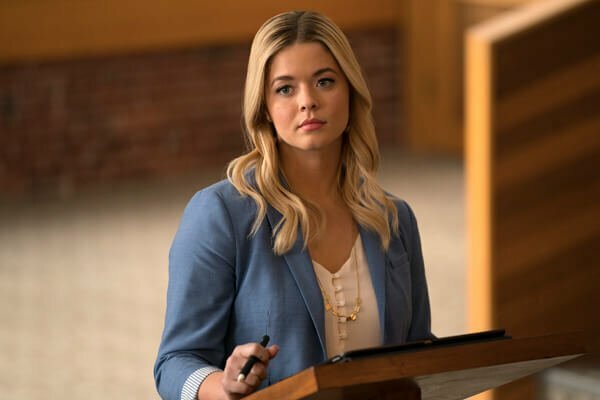 Sasha: The show picks up with Alison interacting again in Beacon Heights in Oregon at this really prestigious college. It’s super fun. I get to meet these three lovely human beings. Well, technically, there are four of them, who are “The Perfectionists” and….something goes wrong. Q: And Janel what about Mona? Janel: Mona and Alison have come from Rosewood to Beacon Heights to start fresh, hoping to leave darkness behind. But, it’s still a “Pretty Little Liars” show so darkness has to follow us everywhere. They are both working on the faculty at BHU, this extremely perfect college in an extremely perfect town. There is a new “A-type” who is torturing our “Perfectionists”. It’s a little bit darker than PLL was. Q: How is it like the original “Pretty Little Liars”? Sasha: It’s everything we loved about it. There are so many secrets and so many juicy things to find out about but, at the same time, it’s new and exciting with new mysteries. We’ve added this extra scary layer which is technology. Beacon Heights is all about ‘keeping people secure’ but really, it’s all about spying and figuring out secrets and keeping everybody in line so it’s kind of “iffy’. I love that part of it. It’s so our time and so possible. It kind of gets under your skin. Everybody is on edge all the time for, I think, good reason. The five of us go on a crazy journey and try to figure out this new murder. It’s the first murder in Beacon Heights and of course, Alison is there. She can’t help it. Q: Sounds so cool. Were you happy to play Alison again? 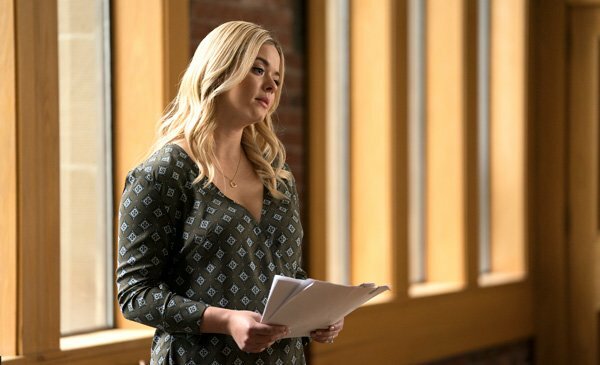 Sasha: (The producer) asked me around season six or seven if I’d be interested in continuing my character in “The Perfectionists”. It didn’t take me long to say ‘yes”. I think Alison has transformed so much I feel like she is never boring. 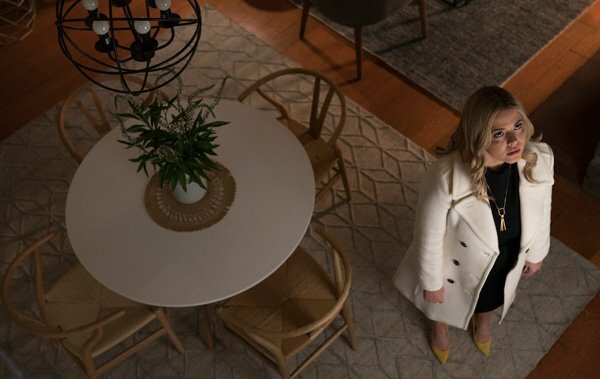 Yes, playing the same character for seven years can be kind of tricky because you can fall into habits but honestly, I have always done something new with Alison and it’s so entertaining and fulfilling as an actress and it was just second nature to continue her. I love that there is a new twist on Alison and I get to play a different version of her. I did the pilot for “Pretty Little Liars” when I was twelve and I was younger than my character for so long. Then I passed her age. Then we did a jump forward (in this new show) and I’m younger than her again! She has turned over a new leaf. She’s really at the school to make a difference and to help these students but, at the same time, she’s trying to help herself. She always gets herself into trouble and can’t help (doing so) when she sees it. She’s like ‘Oh I have all this wisdom because I’ve been through all these things. I have to help these guys figure out their journey’. I love that about her. Q: Janel, was coming back an easy decision for you too? Janel: (The producer) didn’t have to twist my arm to get me to come back to Mona. I was so sad when I knew I would have to hang up my Mona hoodie, if you will. She was the most fun character ever to play. As an actress, I was constantly kept on my toes and challenged. She’s got so many layers. She’s so mysterious and dramatic and snarky and smart and all these amazing things that are so fun to play. I thought, ‘I got to play her for seven years and it just might not get better than that. I might never be blessed enough to play a role like this that is so layered and that I love this much’. So, when (the producer) said ‘I don’t ever want to say goodbye to Mona’. I said ‘Whatever it is, I’m in’. Q: What is the Alison and Mona relationship like now? Sasha: They have this interesting chemistry at first and Alison doesn’t have a choice but to trust her. I think the same goes for Mona. She’s got one ally and that’s basically Alison. They are navigating their newly-found friendship in the show. Q: Why will this new show be so watchable? 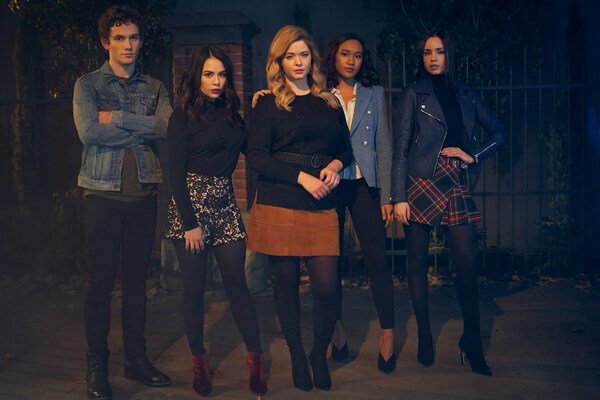 Sasha: It’s got the best of PLL but it’s so fresh and new that even if you never watched “Pretty Little Liars”, you instantly fall in love with these new characters and you can follow it. There is nothing confusing about it. It captures you. There is a new version of Alison and Mona so that feels fresh. The fans of PLL should really enjoy that. 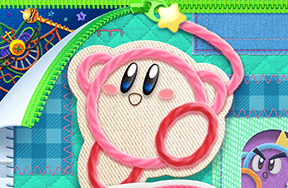 But the new characters all have their own amazing personalities that you can relate to. I love the way each character is developed. Janel: You don’t have to be a PLL fan to get into the stories. If you are a fan, you’ll have a lot of fun Easter eggs for you. 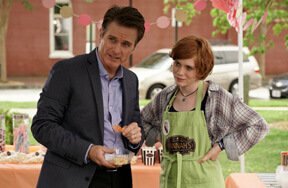 If you watch you can be like ‘Oh, I know what they’re talking about’ but if you just turn on the new show from the pilot episode, you will immediately be sucked into the story and characters. So you do not have to be a PLL fan to love this show. We’re excited. We hope that we have our fans come back with us and then we’ll expand our family. Q: What are some cool things about the new show? Janel: I think people will like this show because, just like Pretty Little Liars” there are twists and turns on every episode. You will never be bored. There is lots of eye candy. We have amazing outfits. Every single episode, the fashion is on point. Lots of romance and steamy moments. The characters, old and new, are so lovable. The mystery aspect is darker. The stakes are higher the in PLL and it will just keep you guessing every single episode. Janel as Mona looks happy with that knife! 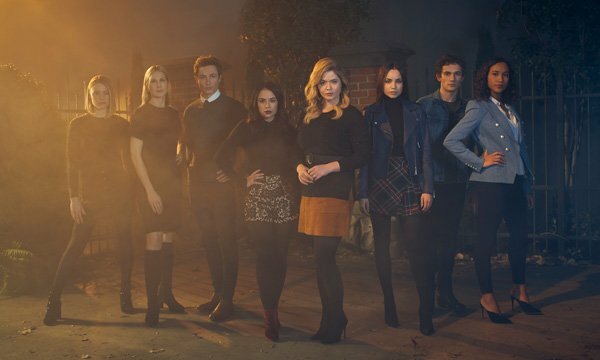 See “Pretty Little Liars: The Perfectionists” Wednesday nigths on the Freedom network. Were you a “Pretty Little Liars” fan or do you just like secrets and mysteries? Will you check out the new show? What are you hoping will happen? Start a chat by leaving a comment here below or on your Kidzworld profile page! Pretty Little Liars the TV show is based on a series of novels by which author?